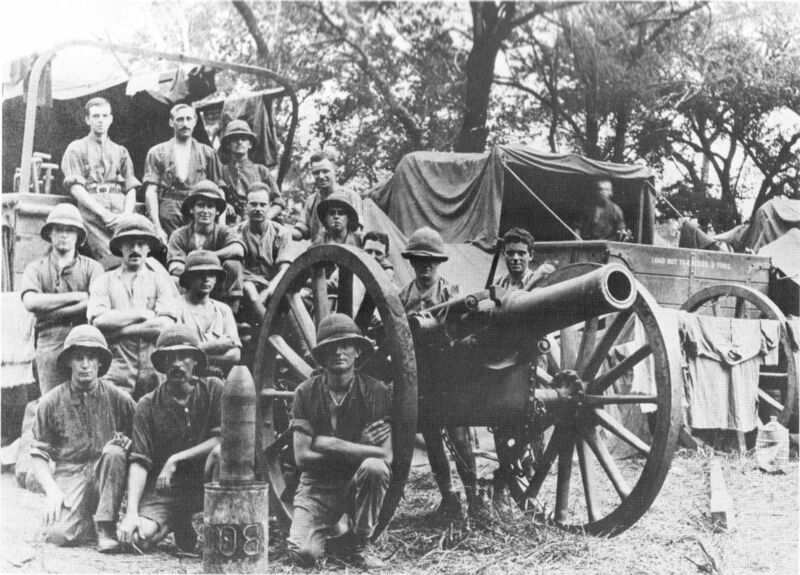 A new book tells the tale of a unit of the Hull Pals who served as artillerymen in Africa during World War I, reports the Hull Daily Mail. Rupert Drake, whose grandfather Jack was one of those soldiers, has written a book called The Road To Lindi: Hull Boys In Africa. Drake says: ‘My grandfather had a notebook with details about it but when he died, it was accidentally thrown away so I wasn’t sure whether I’d be able to find out any more. ‘When I started to look into the history of the unit, I found there is actually very little written about it. But I was determined to try to fill in some of the blanks. The Hull Heavy Battery fought in what is now Tanzania and Kenya. Disease was rife. Rupert estimates that in excess of one third of all troops in East Africa were permanently unfit for duty during the rainy season due to illness. Jack Drake enlisted in Hull in December 1914. Due to his skill with horses, learnt living on a farm, he was posted to the 1st Hull Heavy Battery instead of to an infantry unit. For the original Hull Daily Mail story, click here. This entry was posted in News, Soldiers of the Great War, World War I memoirs and tagged Africa in World War I, Centenary World War I, Hull Heavy Battery, Hull Pals, Kenya, Reveille Press, Royal Artillery, Rupert Drake, Tanzania, The Road To Lindi: Hull Boys In Africa, Yorkshire. Bookmark the permalink.